Daniël van der Hoeven (Amerongen, the Netherlands, 1985) studied with Ellen Corver and Naum Grubert at the Koninklijk Conservatorium in The Hague where he graduated with distinction in 2010. Van der Hoeven attended masterclasses and took private lessons from Brigitte Engerer, professor at the Conservatoire Supérieure in Paris. 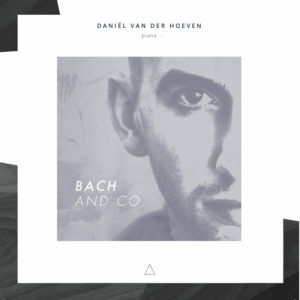 Daniël van der Hoeven won prizes at several competitions. He received a 2nd Prize and “Murs du Son”-prize at the 2015 Lagny-sur-Marne International Piano Competition. He was the winner in March of 2013 of the International Bach Competition in Würzburg, Germany (2nd prize – no 1st prize awarded). At the International Bach Competition in Leipzig (Germany, 2014) he received a Special Prize. In 2010 he won the 4th YPF National Pianocompetition, held in the Muziekgebouw aan ‘t IJ in Amsterdam, which included a CD recording and the Yuri Egorov Gold Medal. Prizes that he won in the Princess Christina Competition led to a performance in Carnegie Hall in New York in the fall of 2005. Daniël has performed in the Netherlands and a number of other countries including Belgium, France, England, Germany, Italy, the Czech Republic, Romania, Poland and the United States. He has been featured as soloist with numerous Dutch orchestras and made his début in November 2013 with the ASKO Schönberg Ensemble. 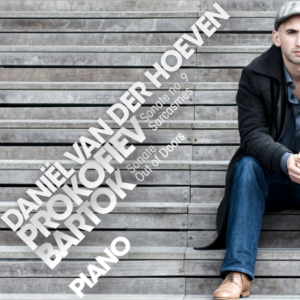 In 2013, his first CD was released with works by Prokofiev and Bártok. It was received very well by the press. In the fall of 2014, his second CD will be released with a very interesting program of works by Bach, Mozart, Mendelssohn and Shostakovich.